Hello there - my name is Althea Twyst, and I'm the Dowager Duchess of Chellingworth. I'm so pleased to have the chance to talk to you again, and I'm going to use the opportunity to speak about a subject close to my heart - gardens. May is a wonderful month to visit a beautiful garden, and here in Wales we're blessed with more than a few worth visiting. Aberglasney is a delightful example. It's in Carmarthen, in South West Wales, which is where a good friend of mine was raised; Carol Hill is one of the four women who run the WISE Enquiries Agency in a converted barn on the Chellingworth Estate, and she - along with her three private investigator colleagues - have solved some puzzling cases hereabouts. 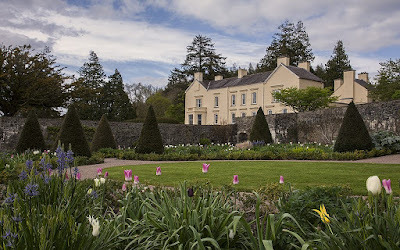 Of course, Carol was raised on a local farm, not in a mansion like Aberglasney, and now she's settled in a rather pleasant Georgian house in overlooking the village green in nearby Anwen-by-Wye. Her infant son, Albert, is quite a cuddly little chap. 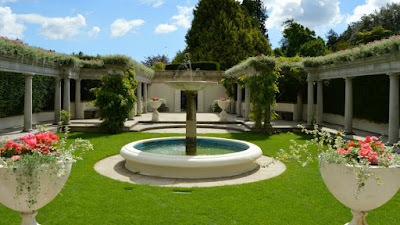 There are some lovely places in South East Wales too, and I think my favorite there is Dyffryn Gardens. The whole thing belongs to the National Trust nowadays, so I'm sure a lot of people visit. 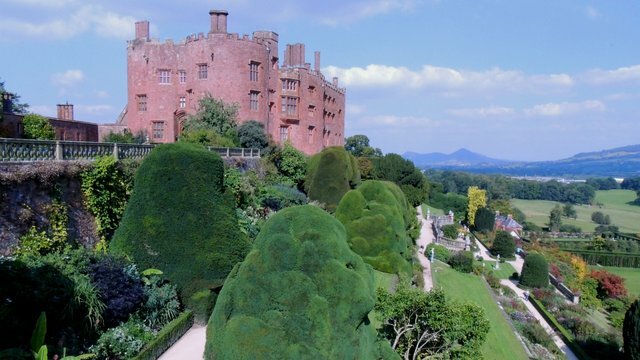 Powis Castle is in mid-Wales; they have some lovely vistas, and it's a wonderful place to plan for a good walk. So, have I inspired you? 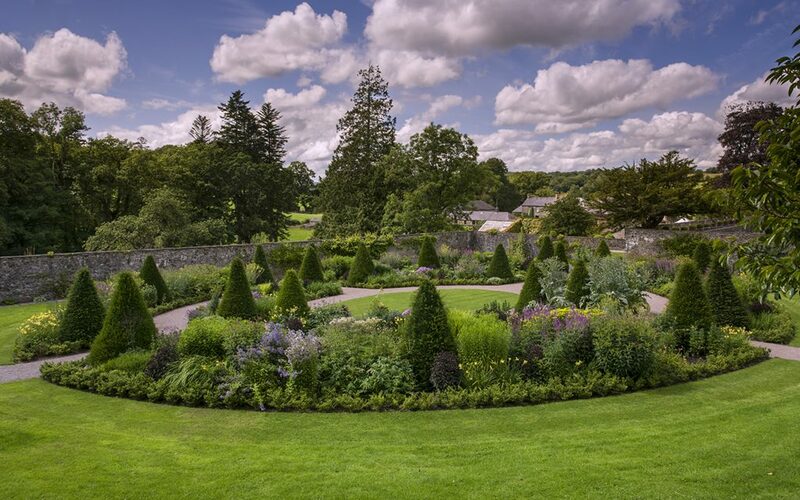 Why not find out more about the wonderful gardens of Wales...maybe you'll even consider visiting Chellingworth Hall one day. 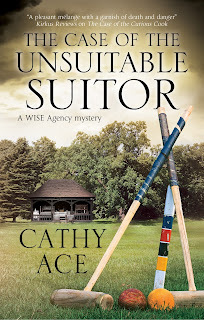 Cathy Ace writes the Cait Morgan Mysteries and the WISE Enquiries Agency Mysteries. 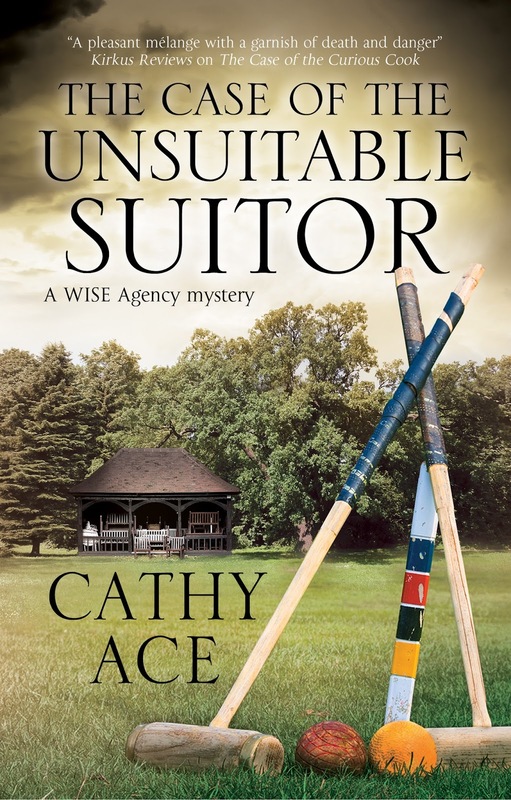 THE CASE OF THE UNSUITABLE SUITOR, the fourth in the WISE Enquiries Agency series is shortlisted for the 2018 Bony Blithe Award for Best Light Mystery by a Canadian! Gorgeous gardens! Thank you for the information and I will be researching them. The gardens are beautiful, and I hope to have the opportunity to visit them some day!